On November 9, Pakistan and Turkey held several events to celebrate 70 years of their alliance and friendship. Islamabad and Ankara jointly issued a postal stamp to commemorate the event. The joint stamp depicts two great poets and political thinkers – who left deep imprint on the hearts and minds of Muslims and Hindus of British occupied India and Turkish people – Allama Dr. Muhammad Iqbal (1877-1938), the national poet of Pakistan and Mehmet Akif Ersoy (1873-1936), the writer of Turkey’s national anthem. November 9, 2017 happens to be Allama Iqbal’s 140th birthday. Both Iqbal and Ersoy were devoted Muslims – thus hated by Hindu fascists and anti-Islam Kemalists. Being a pro-Ottoman Khilfat, Ersoy was labeled as traitor by the Young Turks – mostly Crypto Jews. Iqbal’s poetry was based on Islam and Islamic civilization. It has been translated more than 20 different languages. Allama Iqbal received his Doctoral degree from Ludwig Maximilian University, Munich in 1908. Iran’s Supreme Leader, Ayatullah Ali Khamenei, has translated some of Iqbal’s poetry from Urdu to Persian language. Muslims who ruled Indian subcontinent for over 1,000 years, have always felt love for the Khilafat in Istanbul. During WWI, they sent aid to Ottoman Turkey and held protest rallies against British invasion. After Gen. Mustafa Kemal (died 1938) abolished Ottoman Khilafat and banned Arabic language, Islamic studies and call of prayer in public – many Muslim leaders distanced themselves from supporting the so-called “modern Turkey”. Pakistan and Turkey along with Iraq and UK were members of United States led CENTO military pact against USSR during the Cold War – but in fact it’s to protect Israeli interests in the region. It’s dissolved in 1955. Dina Jinnah Wadia (born August 15, 1919) the only child of the Father of Pakistan, Quaid-e-Azam Muhammad Ali Jinnah and Maryam Jinnah (born as Rattanbai Petit, daughter of Lord Dinshaw) passed away in New York on November 2, 2017. She was 98 year-old. Pakistan’s president Mamnoon Hussain and prime minister Shahid Khaqan Abbasi led the Pakistani people in offering condolences to Dina Wadia’s son Nusli Wadia, Chairman Wadia Group, saying she was greatly respected. On September 11, 1948, Dina Wadia visited Pakistan to attend her father’s funeral in Karachi where she stayed with her aunt Madar-i-Millat (Mother of the Nation) Fatima Jinnah. Later she visited Pakistan in 2004 as guest of Pakistan’s former president Gen. Pervez Musharraf to watch a cricket match between Pakistan and India. Dina was born in London where her father was member of Royal Privy Council. Her mother known as Rose of Bombay, converted to Islam at age 18 in order to marry one of India’s top lawyers, Muhammad Ali Jinnah, 42. However, she failed to adopt Muslim way of life and after three-year marriage returned to her Parsi family in Bombay taking Dina with her. Jinnah never saw her until her death in 1929. After Rattanbai Petit’s death, Muhammad Ali Jinnah asked his sister Fatima to raise Dina. According to Jinnah’s chauffer Bradbury, Jinnah himself requested his sister Fatima Jinnah, to teach her niece, Dina about Islam and Holy Qur’an. 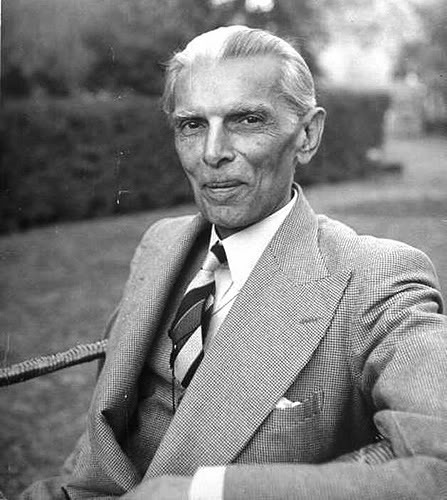 Muhammad Ali Jinnah stopped visiting her daughter Dina after she married to one of India’s richest businessman Neville Ness Wadia, a non-Muslim Parsi. However Dina’s marriage like her mother didn’t last much longer. She got a divorce in 1943 after five year married life and left Mumbai first for London and then for New York. After the establishment of Pakistan, Dina like Jinnah’s three sisters (Maryam Bai, Rehmat Bai and Shireen Bai) decided to stay in India while the youngest sister Fatma Jinnah immigrated to Pakistan with her brother Muhammad Ali Jinnah. During her 2004 visit, she visited the hall where Jinnah’s personal belongings are on display. Dina showed a liking for three pictures and requested for blow-ups. One of the pictures shows Dina with her parents, another is that of her mother, while the third, which she liked the most, shows Jinnah dictating a letter to someone. Later she paid her respects at the tomb of Fatima Jinnah, her aunt. See Quaid-e-Azam family photos here. On Saturday, Islamabad rejected Washington’s objection raised over China-Pakistan Economic Corridor (CPEC), saying that CPEC is a development and connectivity project for the betterment of people of the region and beyond, which doesn’t threat either India or Afghanistan. 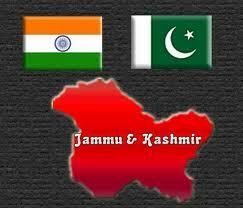 Islamabad urged the US and the international community to rather focus on ethnic-cleansing of Muslim-majority in Indian-held Kashmir. India is the only regional power which wants to kill the CPEC initiative for the following fears. India is concerned over China’s military presence in the Indian Ocean. The CPEC project will enable China to get direct access to the Arabian Sea, which could embolden the Chinese to substantially step up their military presence there, something that India views as an existential threat. India is worried that China is planning to use the Gwadar port to monitor India’s naval activity and allegedly even exploit it to expand and improve its own navy. However, China’s naval power is already almost 4-times stronger than India’s (714 vs 295 of fleet strength). India is also worried that CPEC will bring economic prosperity and growth for Pakistan, which many leaders of India’s ruling BJP still consider part of Hindu-dominated India. Trump administration, as expected, has sided with its Hindu ally over the CPEC project. The US$56 billion CPEC passes through Pakistan’s northern part (Gilgit and Baltistan) which India claims to be part of disputed Jammu and Kashmir state – 67% of which it annexed in 1960s. Gilgit and Baltistan has great strategic importance for both Pakistan and China as without it Pakistan’s second port Gwadar in Balochistan province is a dead horse. For China, Gwadar is the year-round trading route to the Middle Eastern countries and beyond. It will also help China to reduce cost of its oil import from Qatar and Iran. Gwadar, overlooking the Gulf of Oman is a short route to Iran’s Chabahar port. Last year India offered to invest US$500 million towards construction of Chabahar port. So far 52 countries including Turkey, Iran, Australia, Russia, France and Britain have shown their interest in joining CPEC. On September 27, 2017, Pakistan’s foreign minister Khawaja Muhammad Asif spoke at the New York-based Asia Society forum. Responding to Donald Trump’s anti-Pakistan rant in which the Israel First bigot accused Pakistan of sponsoring terrorism – Asif refused to take blame for Taliban, Haqqani group, Al-Qaeda and so-called other terrorist groups – because they’re all created by CIA-Mossad-MI6 Axis of Evil. “Don’t blame us for the Haqqani group and don’t blame us for the Hafiz Saeed. These were the people who were your darlings just 20 to 30 years back. They were being dined and wined in the White House and now you say go to hell Pakistanis because you’re nurturing these people,” Asif said. Hafiz Muhammad Saeed, PhD, the leader of Jamaat ud-Dawa (JUD) is on both Washington’s and New Delhi’s most wanted list for being the mastermind behind the November 2008 terrorist attacks in Mumbai, which was a Mossad-RSS false flag operation to start a nuclear war between India and Pakistan. Speaking at the forum, Asif further stressed that there was no military solution to the festering conflict in Afghanistan. “Scapegoating Pakistan for all the Afghan ills is neither fair nor accurate,” Asif said. Taliban have long defeated US-NATO forces in Afghanistan. Trump intends to continue the war racket as the Generals and pro-Israel war-hawks in his administration refuse to accept a new military humiliation at the hands of Muslim resistance. Talking about Pakistan’s sour relations with neighboring India, Khawaja Asif said that there cannot be peace between the two neighbors until India hold a free plebiscite in disputed Jammu and Kashmir state as agree upon at the United Nations in 1948. Asif stressed that India must stop funding terrorism in Pakistan if it wants peace in the region. Khawaja Asif was interviewed (watch below) by Steve Coll, American Zionist Jew academic, and staff writer for The Jew Yorker magazine. The Asia Society was founded by John D. Rockefeller III (Jewish) in 1956. It’s current chairperson is Josette Sheeran. She is former US ambassador to Haiti. She is married to Jew professor Whitney T. Shiner. Israel and its Western propaganda idiots have always claimed that Pakistan poses the greatest threat to world peace for providing sanctuary to so-called “Islamic terrorist group” despite the fact, both the US and Israel (here)were created by European terrorist groups. Pakistan is also victim of Zionist terrorism. United States and its regional allies such as Israel and Saudi Arabia are the criminals sponsoring conflicts, wars and terrorism in the Middle East. Today, over 160 million Pakistanis around the world are celebrating the 70th birthday of their nation on August 14, 1947. Chinese vice-premier Wang Yang accompanied by a high-level delegation arrived in Islamabad to represent Chinese president Xi Jinping at the 70th anniversary of Pakistan Independence Day. During his 3-day stay, Wang will participate in inauguration ceremonies of several China-Pakistan Economic Corridor projects and witness the signing of bilateral memorandums of understanding between the two countries. In addition to China, Turkey, United States and Saudi Arabia also joined the celebration in different ways. Riyadh’s iconic Kingdom Tower turned green to mark Pakistan’s 70th Independence Day. Pakistan, Saudi Arabia and Turkish Air Forces took part in Air Shows in Islamabad and Karachi on 14th August Pakistan Independence Day. On August 13, Pakistan Army chief Gen. Qamar Javed Bajwa hosted country’s largest-ever flag at Pakistan-India border in Lahore to kick-off the celebrations across the country. The flag is 12oft by 80ft in size was hoisted 400ft high – making it first in south Asia and 8th highest in the world. Pakistan’s national anthem was sung by Americans, marking the 70th Independence Day of Pakistan (listen below). 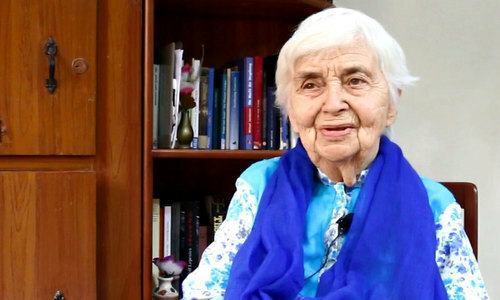 My birthplace is Germany but my heart beats for Pakistan – said Dr. Ruth Pfau. Pakistan’s beloved German nun and physician Dr. Ruth Katherina Martha Pfau, 87, died in Karachi on August 10, 2017. Since 1960, she had been fighting leprosy in Manghopir, a poor neighborhood of Karachi, Pakistan’s most populated city of 17 million since 1960. The springs in Manghopir are fabled to cure leprosy. Pakistani President Mamnoon Hussein described Pfau’s death as a great loss for the nation in which her clinics strive to save leprosy patients from disfigurement, blindness and social exclusion. Pfau was known in Pakistan as the mother of leprosy patients and was compared by Radio Vatican in 2014 to Mother Teresa, another late Roman Catholic nun who helped India’s growing poor population for decades. On Thursday, the BBC called her ‘Pakistan’s Mother Teresa’ which I think was an insult to her. India’s Mother Teresa was hated by Hindu extremists now ruling India for spreading Christianity. She was also accused of being on CIA payroll and supporter of Afghan Taliban. 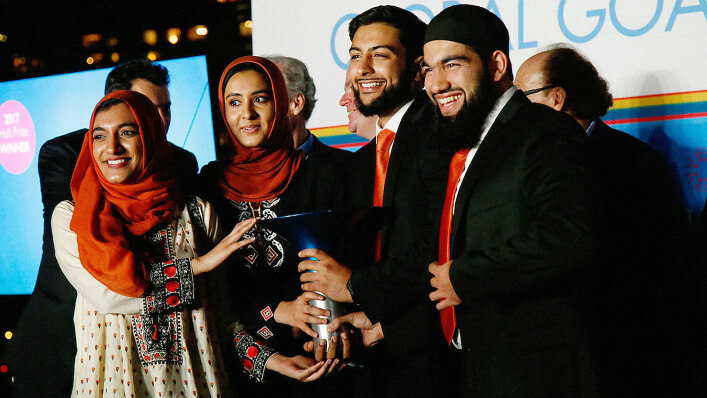 Pfau had wished to be buried in Karachi from where she began her charitable work. I remember another German academic, Annemarie Schimmel, who fell in love with Pakistan through Allama Iqbal poetry. She authored over dozen books on Islam and Islamic influence on Europe’s enlightenment.